That’s The Cake is a family-owned bakery located in Arlington, Texas. 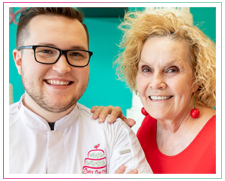 Nancy first opened the bakery’s doors in 2009 in Lewisville, TX with a passion for baking and a desire to help customers celebrate life events. That’s The Cake’s location may have changed over the years, but our passion remains. We believe that the cake is an expression of the event for which it was made. 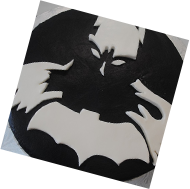 We work closely with every customer to create a unique and delicious cake that is perfect for their special celebration. Our bakery specializes in everything from simple and sweet sheet cakes to three-dimensional sculpted cakes for every occasion. Whether for a wedding, birthday, baby shower, socials, corporate events or any function that you would like to make an everlasting impression. Our top priority is baking the best-tasting, highest quality cakes possible. We make each cake by hand using only the finest of ingredients. Come visit us today, we’re located near Dallas Cowboys Stadium and Six Flags Over Texas – both within a 5 minute drive of the bakery. 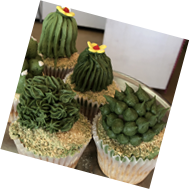 Our bake goods include: wedding cakes, groom cakes, sculpted 3-D cakes, baby shower cakes, sheet cakes, cupcakes, cakepops, brownies, cheesecakes, a wide variety of pastries, cookies, and specialty cakes for every season or corporate/family event. We offer dietary options including: gluten free, sugar free, vegan, eggless, and dairy free. All dietary options are special order only. Our bakery serves the following cities in the Dallas/Fort Worth, Texas metropolitan area: Arlington, Argyle, Burleson, Cedar Hill, Colleyville, Dallas, DeSoto, Double Oak, Euless, Farmers Branch, Flower Mound, Fort Worth, Frisco, Grand Prairie, Haltom City, Highland Village, Highland Park, Hurst, Keller, Kennedale, Irving, Mansfield, North Richland Hills, Plano, Roanoke, The Colony, Trophy Club, University Park, & Watauga, Texas. Have a question about our history or want to know more? Drop us a line – here – and we’ll be in touch. You can also check out our Frequently Asked Questions page.